Spending 20 hours a month to increase your business’s recognition, traffic, and sales with little to no cost make business sweet than wasting too much of money on Radio or Television Advert. Over 80% of marketers claimed that social media generated immense exposure for their company, and that’s only one of its many advantages. 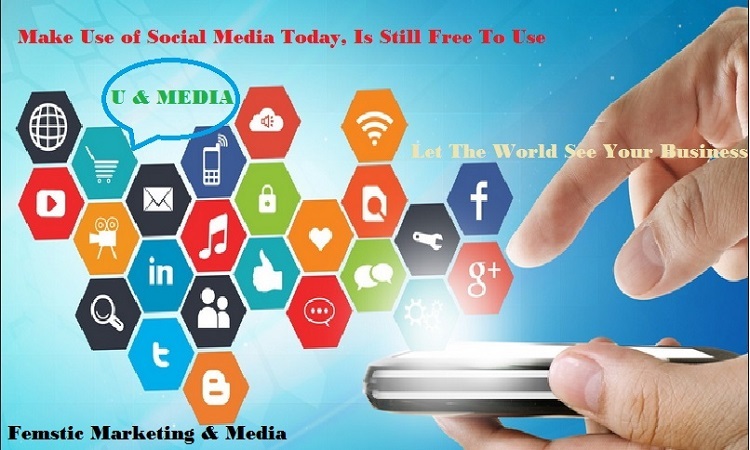 Social networks are now a substantial part of every marketing strategy, and the benefits of using social media are so great that anyone not implementing this cost-effective resource is missing out on a phenomenal marketing opportunity. 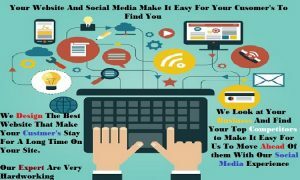 Social media marketing is a key element for success in marketing which many marketers now realized the potential for business growth using social media. For example; look at newspaper companies. They understand the importance of social media and they immediately switched to it because they know that if they are not making use of social media they will lack behind. According to Social Media Examiner, about 96% of marketers are currently participating in social media marketing, but 85% of participants aren’t sure which tools are the best to use. But don’t worry, with our help you will be able to find out the best social media to use for your business. Social media make you improve your Brand Awareness. If you have been running a business for the past 20years and people don’t know about you, within some months, social media can help you gain more popularity. To get started on social media, you need to set up social media account, create good profile and share useful content that will help your targeted audience. People believed and trust company who have been giving them useful information when they want to submit their credits card details than a company who just show up when she want to sell. Your information might help someone out there that will finally give you good feedback. Many marketers have claimed that their social media marketing efforts has greatly increased their exposure and give them more profits than before. 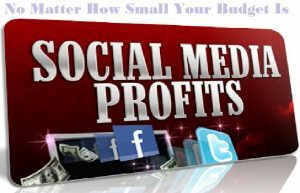 If you have social media page set up, you gain more popularity and increase your profits. If you are using it regularly, it can increase your profits within some months. I learn more on this some years ago when I was managing one company social media account. This company website was ranking 28millions worldwide and I told them that I have to do a lot of work to make them rank less than 500k within 6months. I noticed something back then; within 6weeks without any SEO, I was using social media alone, the site was ranking less than 6millions. I was surprised back then because I was still new to social media work and I don’t know that it can have good effect like that in less than 2months, I was not even making use pf all the social media account then, it was only facebook, twitter, Google+ and just a video on YouTube. So, social media will greatly increase your traffic and you know that traffic bring more leads and leads bring result. Every social media profile you add is a machine to your site traffic. Everybody wants to rank the site on site engine. If your targeted customers search for you on search engine and they can’t find you, you are missing something. Posting on social media will get your business more site visitors. Search engine is important to achieve high page ranking on getting traffic down to your website. Some people said social media don’t improve search ranking, but am totally disagreed on that because have used only social media to increase my client site ranking. Being able to rank in the top positions for your keywords will revolutionize your traffic and continue to generate positive results for your business. I need to let you know that people are using Google search every seconds searching for what they need. And they always find what they want at the first page of Google on their selected keywords. If you site is not ranking on the first page, 80% of your customers cannot find you, they will go for the people who is ranking on the Google first page. To maintain the Google first page position you need to write high quality content such as blog, facebook post, linkednl post and even twitter tweet, share it on social media, by doing this will make your customers find you. Once you begin posting quality content, you’ll begin to build a social media community where followers will “like”, “Comment” and “share” your content. Most importantly, it gives you more opportunities to get in front of industry influencer who will write about your business and provide links back which will help to directly increase search engine rankings. These are the best three social media marketing advantage. Any other Tips will stay under this three because these 3 tips bring the result. Awareness-Traffic-Ranking=Profits. Hope you enjoy the article? Please don’t forget to add your own Benefits by making use of the comment box bellow. You can ask your question also using the comment box bellow and we will be happy to answer any comment. social media platforms are very helpful for promoting a business, thanks for sharing this information. dont bother about those errors bro… there are people who are not aware of enlisted blogs.. we should be happy for his efforts to list the best in the circle.. thanks to the author …you rock man..